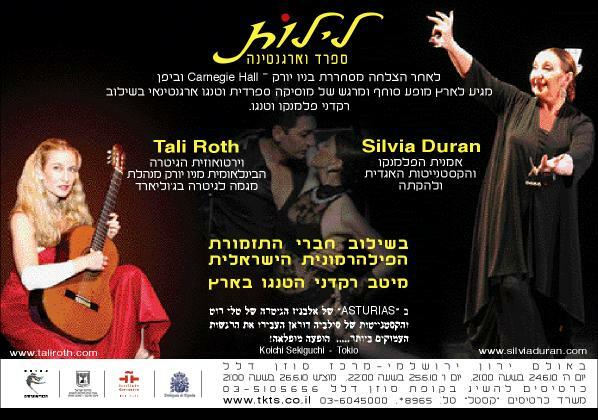 “Nights of Spain and Argentina”- Tali Roth and members of Israel Philharmonic with legendary flamenco and castanets artist Silvia Duran and internationally acclaimed Tango Dancers. 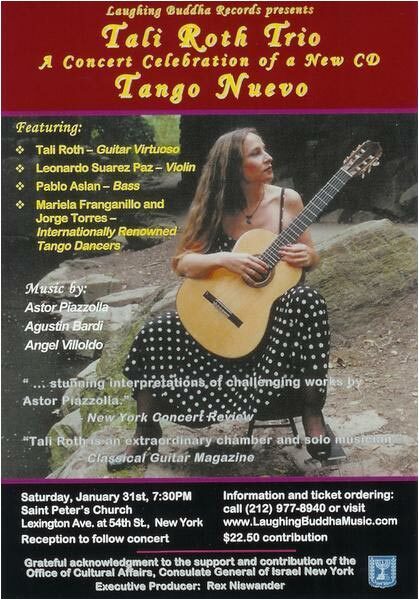 In celebration of the 10th anniversary of Juilliard’s Pre-College Guitar Program, Tali Roth performs Rodrigo’s Concierto de Aranjuez at Paul Hall. Andrew Thomas conducts the Pre-College orchestra. Details are available in this PDF file and on Tali’s concert schedule. 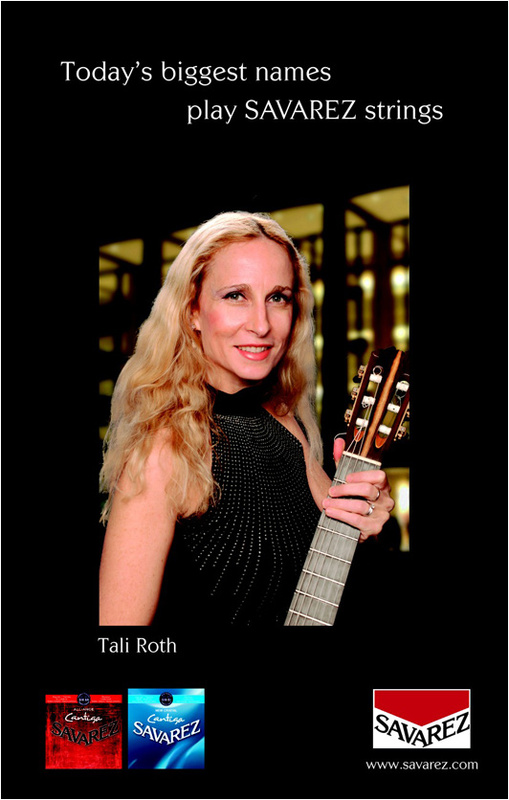 Tali Roth will perform in a concert hosted jointly by the Consulate General of Spain and the Consulate General of Israel to celebrate the 20th anniversary of the establishment of diplomatic relations between Spain and Israel. 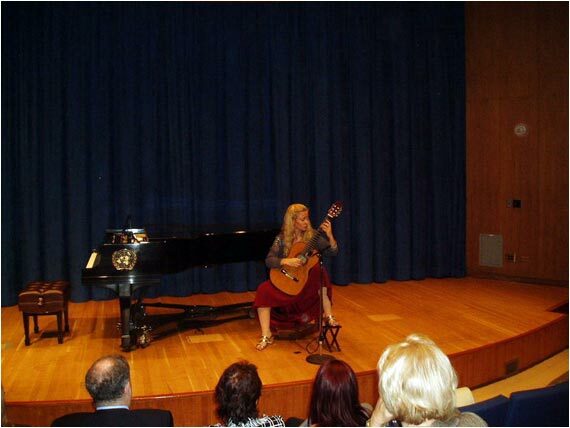 The concert will be presented at Queen Sofia Spanish Institute. For more information, see this PDF file. 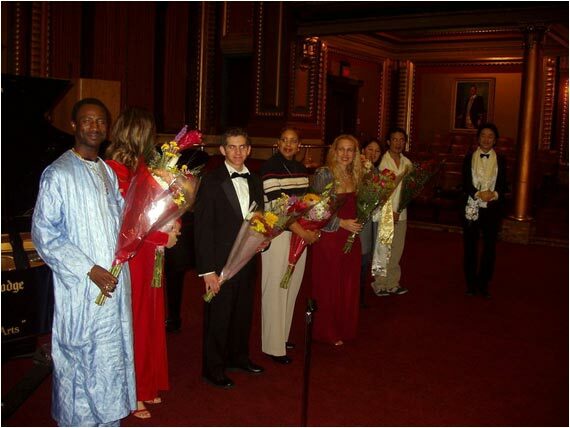 Tali Roth performs as Special Guest Artist at the opening gala of the World Youth Leadership Conference at the Grand Hall in New York City, November 17, 2004. 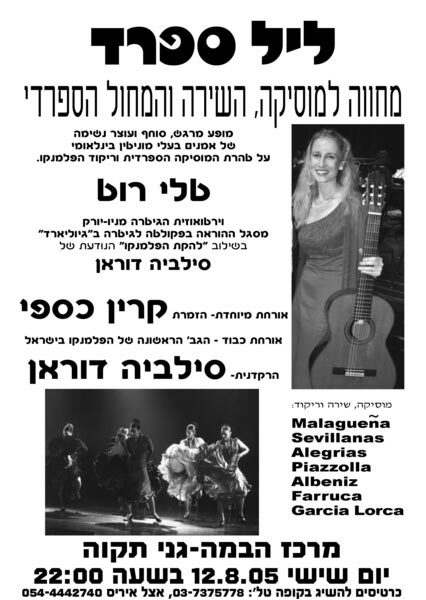 Tali Roth will be performing with violinist Leonardo Suarez Paz and bassist Pablo Aslan in a concert celebrating the release of their CD, Tango Nuevo. The concert will be at Saint Peter’s Church, Lexington Avenue at 54th Street, New York City, on January 31, 2004 at 7:30 p.m. Tickets are available at LaughingBuddhaMusic.com. 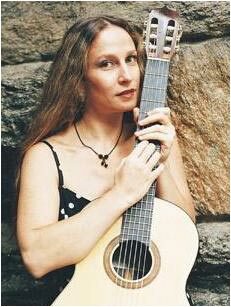 Tali Roth was interviewed by Ivan Gomez for the Fall 2003 issue of the NYlon Review, the newsletter of the New York City Classical Guitar Society. A copy of the interview is here. 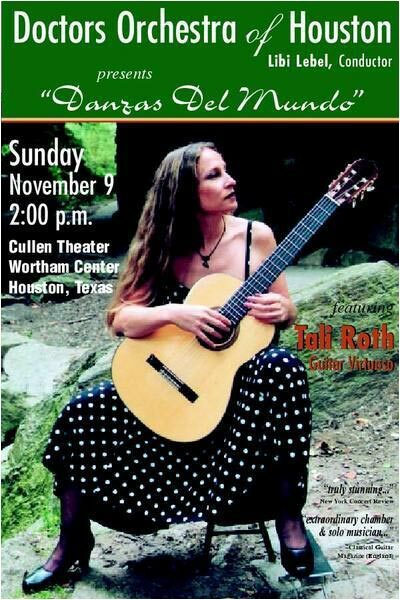 Tali Roth will perform Rodrigo’s Concierto de Aranjuez with the Doctors Orchestra of Houston this Fall. 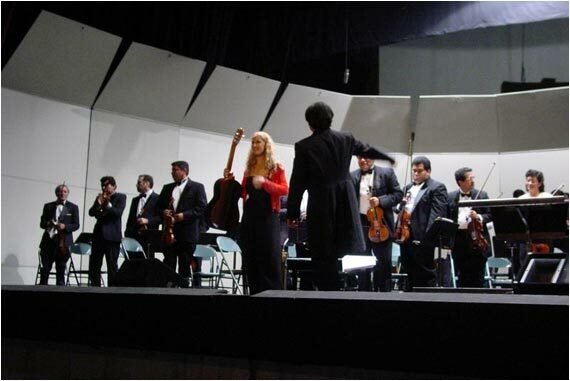 In her two concerts with the El Salvador National Symphony Orchestra in May 2003, Tali Roth performed the Concierto de Aranjuez by Joaquin Rodrigo and the world premier of a concerto written for her by German Caceres. 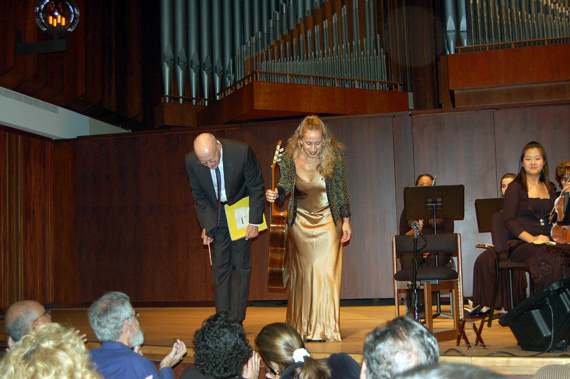 Her sold-out performance was greeted with a standing ovation from an audience of 1,700 and was videotaped by El Salvador television. 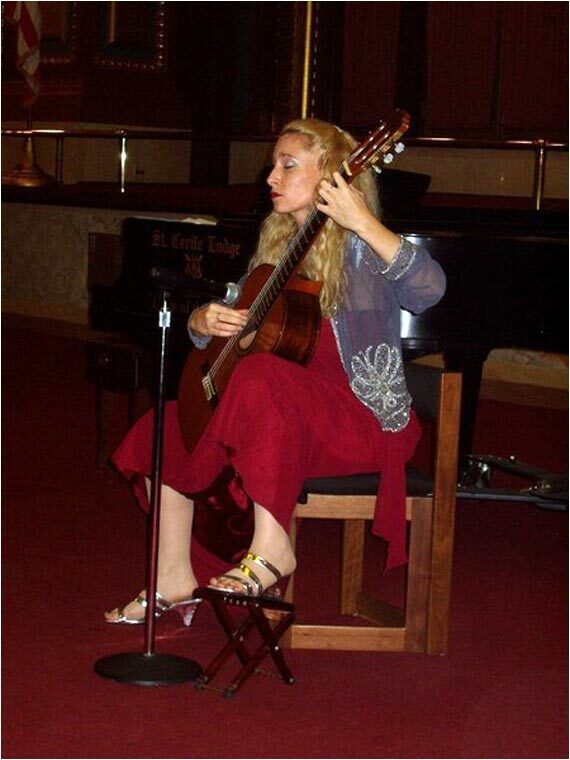 In 2002, Ashley Mark Publishing released the 5th edition of Maurice Summerfield’s definitive book, The Classical Guitar — Its Evolution, Players, and Personalities Since 1800. The book profiles almost 500 of the major figures in the world of the classical guitar over the past 200 years, including guitarists, composers, luthiers, and others. A photocopy of Tali’s profile is available here, with permission of Mr. Summerfield. 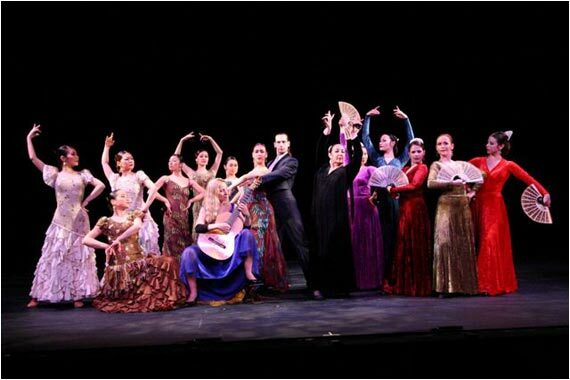 Tali Roth with dancers from the Querido Dance Company performing music of Astor Piazzolla at the Enav Cultural Center, Gan Ha’ir, Tel Aviv in May 2002.